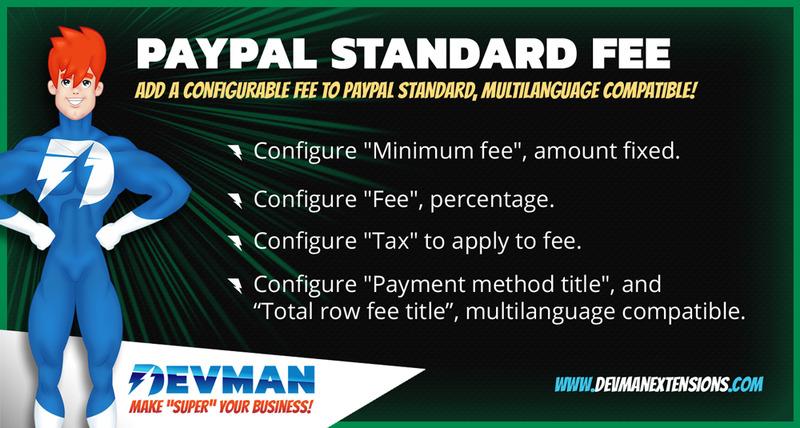 Put a fee in your Paypal Standard method with the easier way! Configure "Minimum fee", amount fixed. Configure "Tax" to apply to fee. Configure "Payment method title", multilanguage compatible. Configure "Total row fee title", multilanguage compatible. Configure "Sort order in total table".